"The list of candidates to be announced by 15 April 2018"
The Karnataka State Assembly elections are scheduled for 12 May 2018. With election campaigns in full swing, all that is left to be decided now, are the candidates for each party. According to a report in the Kannada daily Prajavani, most of the major parties will be announcing their candidates by 15 April 2018, with the candidates filing their official nomination papers 17 April 2018 onwards. Apart from various regional parties, there are three key players who are set to play a deciding role in these elections: the Indian National Congress (Congress), Bharatiya Janata Party (BJP), along with the regional party Janata Dal (Secular) [JD(S)]. The Prajavani report spells out in detail the various factors that the parties need to keep in mind while deciding whom to give the election tickets. The report also points out that some politicians have also switched parties in the hopes of securing a ticket this election season. What was the vote share of each party, and the number of seats that they got, in the 2013 election? Who are the politicians who switched their parties and what were their reasons? Answering these questions, this article outlines the various factors at play in the upcoming elections. The state of Karnataka has been in a state of political chaos since 2006, with no stable government. In fact, from 10 October 2007 to 7 November 2007, it was laced under President’s rule. The first BJP Chief Minister of Karnataka, B S Yeddyurappa, was forced to resign from the office in July 2011 after being accused of involvement in the Bellary Scam case. D V Sadananda Gowda, who was sworn in as the 20th Chief Minister, stayed in office for barely a year. After a long period of instability, State Assembly elections were finally held in in 2013. This time, Siddaramaiah of the Congress Party won the election and was sworn in as the Chief Minister on 8 May 2013. Out of 4,36,85,739 people of the electoral rolls, 3,12,13,124 of them had voted, i.e. 71.45%. 2,948 candidates had contested for 224 seats. and Badavara Shramikara Raitara Congress Party (BSRCP) with 2.69% and Karnataka Janata Paksha (KJP) 9.79% bagged 4 and 6 seats each. The Siddaramaiah government’s term ends in May 2018. 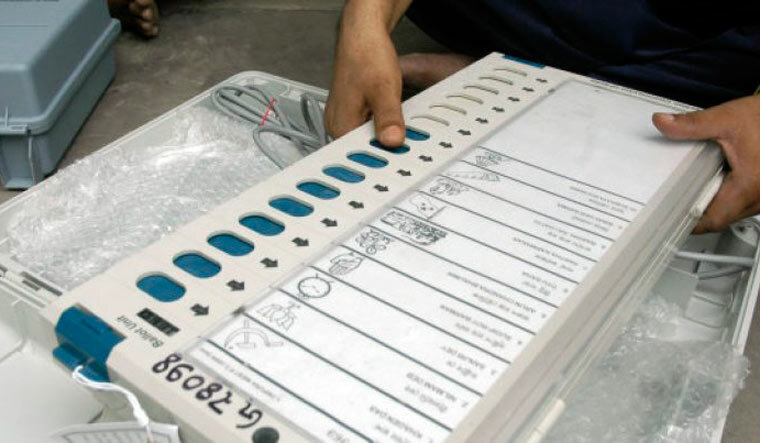 According to the Election Commission of India’s press note released on 27 March 2018, the total number of voters according to the final electoral rolls is 4,96,82,357. With BJP at the Centre and in 19 states, the Karnataka State Assembly elections have become crucial not only for Karnataka but for the upcoming General elections scheduled for May 2019. Karnataka is one of only 10 states that do not have a BJP government. In fact, it is the second largest state with a Congress government. There are some politicians who have switched their allegiances in the hopes of securing a ticket. However, there is no guarantee that they will be given tickets considering the controversies surrounding their resignation from their former parties. For example, Ashok Kheny had earlier contested a KMP ticket from the Bidar constituency and had won with 0.18% votes. He resigned from KMP (the party that he founded and later merged with Congress) and joined Congress. Ashok Kheny is the owner of Nandi Infrastructure Corridor Enterprise (NICE), which built the controversial ring-road in Bengaluru. The Karnataka businessman is has also been caught in multiple controversies in the state. There was some speculation that while the Congress was initially divided about giving a ticket to Kheny, it ultimately decided against it. In 2004, JD(S) formed a coalition government with Congress but it collapsed, paving the way for a coalition between JD(S) and BJP in 2006. But this coalition government also collapsed due to multiple differences between H D Kumaraswamy, from JD(S), and B S Yeddyurappa, from BJP, regarding the office of the Chief Minister. Considering its fraught history with both Congress and BJP, JD(S) is set to form a coalition with BSP this election. In 2013, BSP had bagged a mere 0.91% with one sitting member in the State Assembly; JD(S) on the other hand had gotten 40 seats. Out of these 40 members, four have resigned. According to a report in Economic Times, B Z Zameer Ahmed Khan, R Akhanda Srinivasamurthy, N Chaluvaraya Swamy, and Bheema Naik, resigned from JD(S) over dissatisfaction with Kumaraswamy’s leadership and joined the Congress. This leaves JD(S) with 36 sitting State Assembly members. 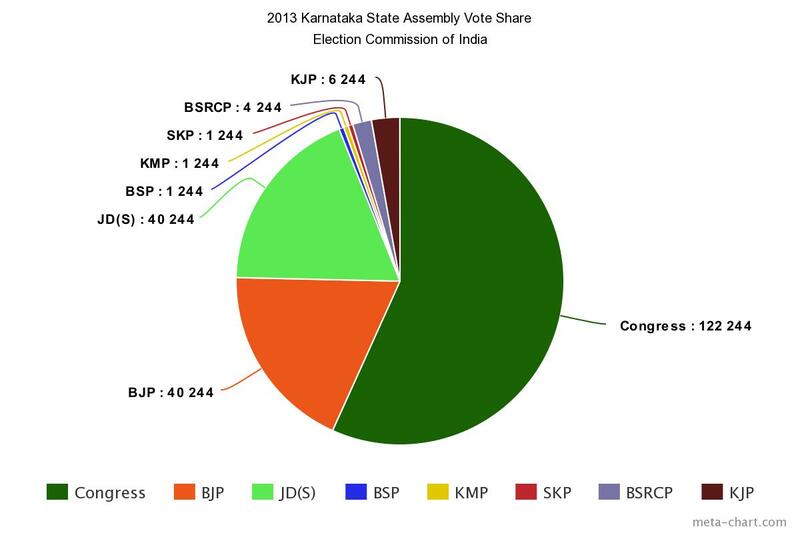 Karnataka Janata Paksha (KJP) had bagged six seats in the assembly. KJP was formed in 2012 with B S Yeddyurappa as its leader, after he split from the parent party BJP. KJP was merged with BJP in 2014. K H Srinivasa, who was elected from KJP, has resigned and joined the Congress with the hope of getting a ticket. Congress has 122 members in the house currently. The Prajavani report notes that 70 of the sitting State Assembly members will be given tickets in the upcoming elections. Apart from the 52 remaining State Assembly members who won on a Congress ticket, there are now 6 additional State Assembly members — 4 members who had won on JD(S) tickets but have since resigned and joined Congress; 1 member who won on a KJP; and 1 member who had won on KMP ticket — who are hoping to get Congress tickets this election. The BJP has 40 sitting State Assembly members. Four other members —T S Suresh Babu and Thippeswamy, both members of the Badavara Shramikara Raitara Congress (BSRC), and A S Patil and C P Yogeshwar from the Bahujan Samajwadi Party (BSP) — have resigned to join the BJP. BSRC was founded by B Sriramulu (one of those accused in the Bellary Mining Scam) in 2011. Sriramulu joined the BJP before the 2014 Lok Sabha elections. Now with Babu and Thippeswamy resigning the party, BSRC is left with 2 sitting members. Along with the 40 existing members in the house, these 4 are also in line for BJP tickets. According to the report in Prajavani, Amit Shah has made it clear that the final list of the candidates will be decided by party supremos. With the KJP merging with BJP and the KMP merging with Congress, BSRC is left with only 2 members. This leaves Congress, BJP, and the JD(S)-BSP alliance as the three major players in this election.